Weather Remains Very Cold Through the Weekend into Early Next Week. Albany, NY - December 27, 2017 - Governor Andrew M. Cuomo today urged New Yorkers to take precautions against dangerously cold weather that will be affecting the entire state until January 2. Southern and western areas in the North Country will be experiencing dangerously cold wind chills through at least Thursday night where wind chill temperatures could reach -15 to -25 below zero with some areas of the southern Adirondacks reaching as low as -40 below zero. Temperatures in Long Island and New York City are forecast to be 15 to 20 degrees below normal with high temperatures remaining below the upper teens to mid-20s and overnight lows reaching the single digits through Friday, and from Sunday through Tuesday. Winter Weather Advisories are also posted the Finger Lakes Region with Lake Effect Snow Warnings in place for the typical lake effect band areas of Western New York and the North Country. 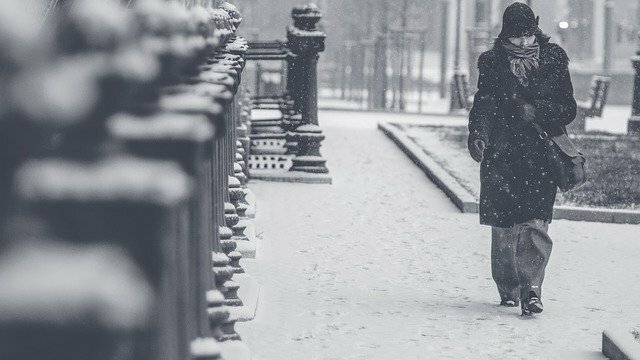 "Bitterly cold winter temperatures have settled in across the state and New Yorkers need to make sure they are prepared for this dangerously cold weather," said Governor Cuomo. "I encourage New Yorkers to stay informed and safe during this inclement weather - we will continue to monitor conditions and stand ready to assist any communities in need." Alternate sources of home heating are a major cause of winter residential fires. Make sure all levels of your home have a working smoke alarm and check it on a monthly basis. Keep the heater at least three feet away from furniture and other flammable objects.When using the heater, use fire safeguards and ventilate properly. If your heat goes out during the cold weather, you can keep warm by closing off rooms you do not need. Dress in layers of lightweight clothing and wear a cap. Hypothermia is caused by prolonged exposure to cold temperatures, especially in children and the elderly. Watch for the following symptoms: inability to concentrate, poor coordination, slurred speech, drowsiness, exhaustion, and/or uncontrollable shivering, following by a sudden lack of shivering. If a person's body temperature drops below 95 degrees Fahrenheit, get emergency medical assistance immediately. Remove wet clothing, wrap the victim in warm blankets, and give warm, non-alcoholic, non-caffeinated liquids until help arrives. Subject: LongIsland.com - Your Name sent you Article details of "Governor Cuomo Urges All New Yorkers Prepare For Bitterly Cold Temperatures"